Meetings and booking of conference rooms and resources are an essential part of any business and unless you have a system to effectively manage and optimise these processes, organising a meeting can be overwhelming and time-consuming. According to a study made by thinkgrowth.org the average employee spends about five hours in meetings per week and four hours preparing for these meetings. The numbers are not decreasing. In fact, meeting frequency is increasing each year and it is clear that business meetings aren’t going away anytime soon. Two of the most common challenges that employees face with meetings are finding a place to meet and collaborate in. No one knows where each conference room is located and it is always difficult to find a suitable conference room that has the desired, size, setup and equipment. When having meetings with external visitors an added challenge can be alerting the reception about expected guests, printing name-tags and making sure your guests are properly welcomed at the reception – and guided to their conference room. If a meeting needs catering or other services, it is always a challenge placing the order to the right kitchen / facilities manager etc. and hoping for the correct delivery at the correct time. Afterward comes the challenge of sending the catering invoice to the right cost-centre and hoping everything runs smoothly from there. In order to manage these processes and optimise the workplace, a meeting management solution can be the answer your organisation needs. 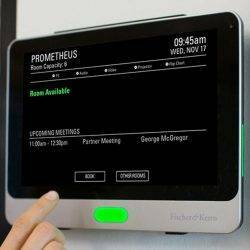 A successful meeting management system can take the frustration out of meeting booking, conference room booking, visitor management and provide you with useful analytics and insights about your office space utilisation. In order to consider if you need a meeting management system or choose the right system for your organisation, it is important to identify your problems and understand where a possible meeting management system can help. 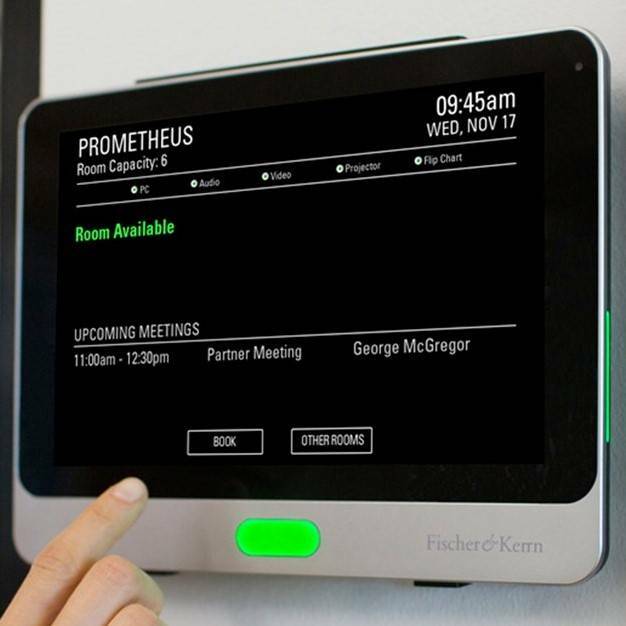 Some of the most common problems include; finding the appropriate meeting room, meeting rooms being left empty despite being booked, lack of insights about usage, complicated catering ordering processes, prolonged procedures at the reception, and lack of adequate wayfinding to meeting rooms or other point of interests. After identifying your main problems, it is important to do your research and seek out the market for varying solutions. It is also important to consider your future needs and have in mind what your organisation might require down the line. Different solutions can also require varying technical expertise of users which is important to consider when evaluating the right meeting management system. If you want to learn more about what a meeting management system can do for your organisation you can sign up for this free Workplace/room booking/desk booking open house event in London at the Danish Embassy on May 9th: Free Workplace Optimisation Event.